My name is June Trop. A transplant from New Jersey, I have lived in New Paltz, New York in the mid-Hudson Valley for more than thirty years. 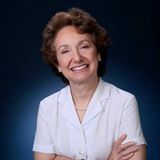 I began my professional life as a science teacher in New Jersey, moved to New Paltz when I married Paul R. Zuckerman, and retired as a professor of science education at the State University of New York. I write historical fiction in the mystery genre. My protagonist is Miriam bat Isaac, an amateur sleuth and alchemist living in Roman-occupied Alexandria, Egypt during the first century of the Common Era. So far, I have written five books in the Miriam bat Isaac Mystery Series, all with three-word titles beginning with “The Deadliest…”. For the first book, The Deadliest Lie (Bell Bridge Books, 2013), get ready for a maddening search for a set of high-stakes documents. Then prepare yourself for an insider’s view of Roman Alexandria, its urban splendor, political volatility, and harsh realities. Miriam must find out who stole the scrolls containing the Alchemical League’s most valuable formulas and how the culprit managed to steal them right from under her very nose. The second book, The Deadliest Hate (Bell Bridge Books, 2015) finds Miriam tracing the leak of an alchemical secret that surfaces in Caesarea. But why have Judean terrorists targeted her for assassination? And can she discover who is responsible for the leak while eluding the assassins and protecting a secret of her own? The Deadliest Sport (Black Opal Books, 2017) is a locked-room murder mystery. The victim is a jackal-faced slave lodging at The Pegasus, a sleazy waterfront inn where Miriam goes to investigate the disappearance of an elderly friend’s will. Could the slave’s bashed skull have anything to do with that will? And who killed him anyway? Only Miriam is shrewd enough to penetrate a monstrous, multi-layered scheme and bold enough to risk her life to expose the mastermind behind it. 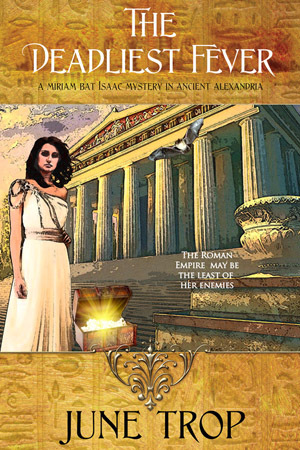 The Deadliest Fever (Black Opal Books, 2018) is about an audacious heist of jewels from the Temple of Artemis in Ephesus and the fates of the perpetrators once they arrive in Alexandria. Can Miriam discover the connections among that jewel heist, the death of a hard-breathing sea captain, and the desecration of the Torah mantle in Alexandria’s Great Synagogue? And can she do it before the deadliest fever claims its victim? In The Deadliest Thief (Black Opal Books, in press) one of the accomplices in the jewel heist at Ephesus vows to kill Miriam and her occasional deputy, the itinerant dwarf Nathaniel ben Ruben. At the same time, a kidnapper vows to butcher Phoebe, Miriam’s closest friend. Miriam suspects the events are connected, but who is really the deadliest thief? The core characters’ lives advance with each book, but each story stands alone. So, begin with any one of the first four and accompanyMiriam through the rancid underbelly of the city second only to Rome. You can purchase the books in e-book or paperback on MY WEBSITE ,or find them on Amazon, Barnes and Noble, and other platforms. And don’t forget to read my blog every week on my website or Facebook page, June Trop Author. For me, writing a good mystery is the greatest challenge. Readers should be able to solve the puzzle but, at the same time, be unable to do so. Accordingly, the pieces must fit together precisely. And then, the solution must satisfy. That is, justice should triumph, and readers should see that the author was fair. It doesn’t get more challenging than that! 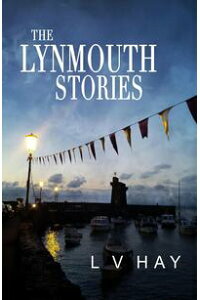 The character of my protagonist and her historical setting inform my stories. Years before I ever conceived of writing mysteries, I was studying the historical development of concepts in chemistry. That’s when I encountered the legendary founder of Western alchemy, a woman who lived in Roman Alexandria. With a little tweaking, I made her my model for Miriam bat Isaac. And so, the character of this once-famous woman, as I imagine her to be, leads me to the premises and situations my protagonist faces and the themes of the stories. Before I begin the actual writing, I keep a journal of plot ideas. Most of the storylines reach a dead end, but some come alive. When I’ve fixed on a plot, I make a list of all the scenes to get from the beginning to the end and record what must happen in each scene to move the story forward. Then I create a subplot or two and insert those scenes into the list as well. This framework is what I use to flesh out each chapter. And, as a new idea emerges along the way, I insert the idea into the relevant scene or string of scenes. To me, the best mysteries were written by Arthur Conan Doyle, and my favorite for its atmosphere and twists is The Hound of the Baskervilles. As far as contemporary American crime writers, no one in my mind surpasses Lawrence Block for his Matthew Scudder series. My favourite is A Long Line of Dead Men for its ingenuity, but it’s the character of Matthew Scudder and the setting, the noir streets of New York, that make all the books a treat.